It’s peanut butter time, is there ever a more glorious time? I think not. I have been on the edge of my seat to try Ed’s Easy Diner Reese’s Milkshake ever since I got the email informing me of their new arrival. 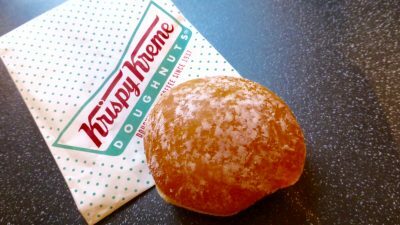 Now this isn’t by any means a new innovation, you may remember me reviewing Byron’s Reese’s Milkshake which was one hell of a milkshake that I still dream about. But can Ed’s trump Byrons, that is the question. Lucky for me Ed’s Diner is pretty close to me so it wasn’t too much of a trek to go and get. I must admit after a terrible experience I really am not a fan of the food at Ed’s Diner so I opted for a simple takeout milkshake. I must say however looking at their dessert menu I may well be going back just for the Elvis PB & J Pie and the PB Choc Stacker! The Reese’s Milkshake seems to be a standard addition to their menu and costed an eye watering £4.55. It always baffles me how a bit of ice cream, milk and flavouring results in a price like that! All shakes are available as a ‘Skinny Shake‘ however to get the full flavour I opted for the classic. If I were being picky I would say my shake was not filled to said line as you can see! This smelt incredibly inviting with its deliciously cream nutty aroma. Taking a big old slurp I as transported to peanut butter heaven. The flavour was intense without being overpowering, the shake extra thick, smooth and creamy, and it really nailed the fresh peanut butter taste. It was certainly akin to the innards of a Reese’s Peanut Butter Cup without the texture and was scrumptiously moreish. I happily demolished the lot. Yes! Yes! Yes! 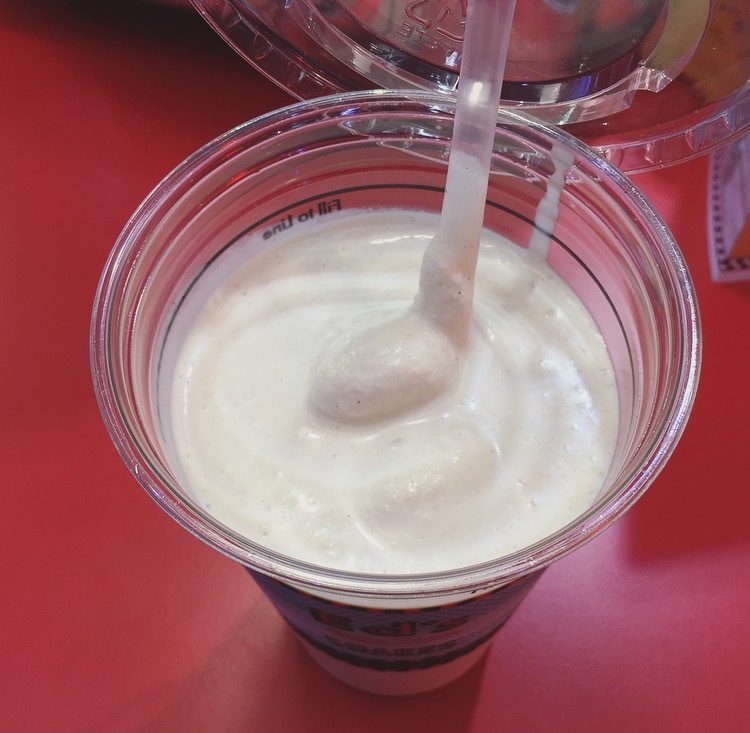 This is one delicious shake. 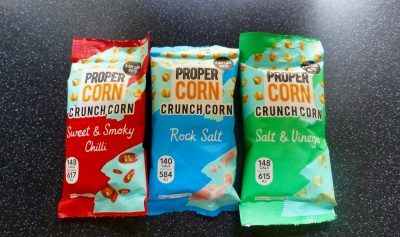 The flavour is there, the consistency is there and I was saddened when it came to an end. The difference between this and the Byron version was this was a straight milkshake where as Byron added chunks of Reese’s Peanut Butter Cups to take it to a new level, and this is certainly what sets the two apart and makes Byron’s by far the winner of the Reese’s Milkshake battle. 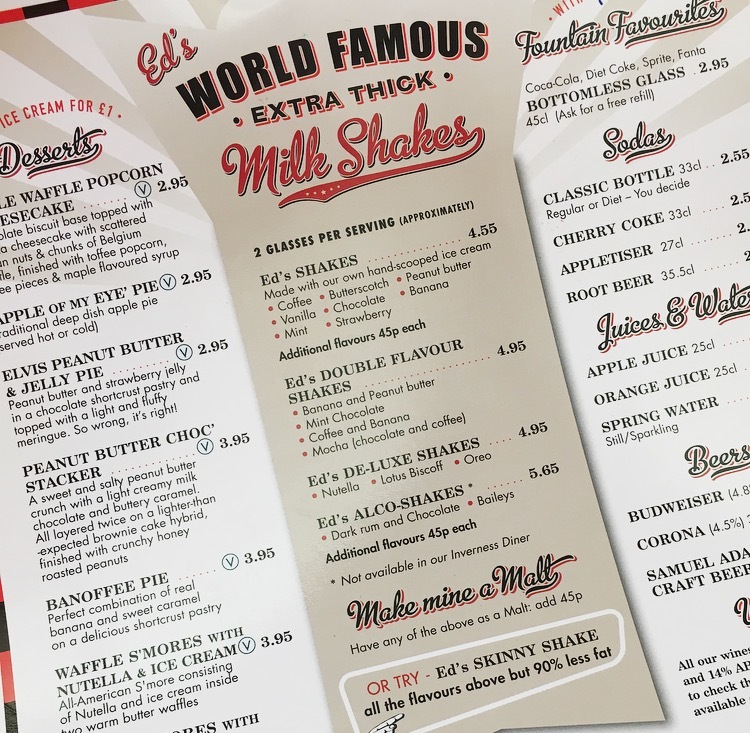 However the bonus for Ed’s is it would appear this is Peanut Butter Shake is here to stay for now. 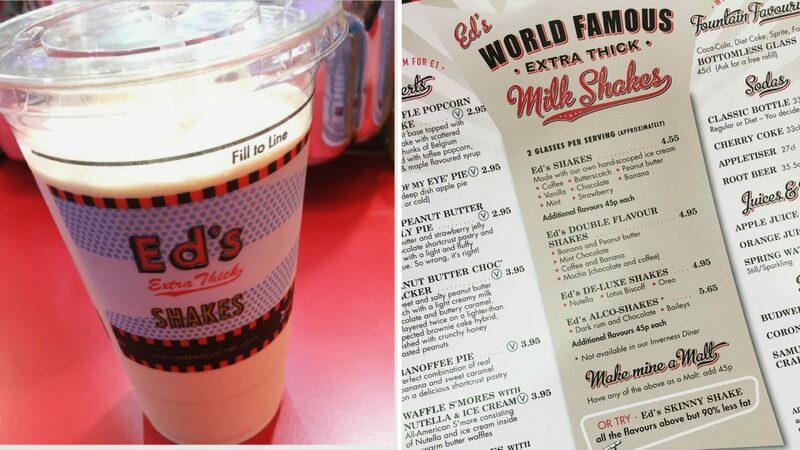 If you happen to be a PB lover and an Ed’s Diner is nearby, you really do need to get this Milkshake in your life.